Walking on the street after the rain was good, no heaty weather surrounded us, good evening I should say. Went to Straits Quay again this time, like this lovely place more and more now, although not much storefronts are open there; I just simply like the feel it gave me. 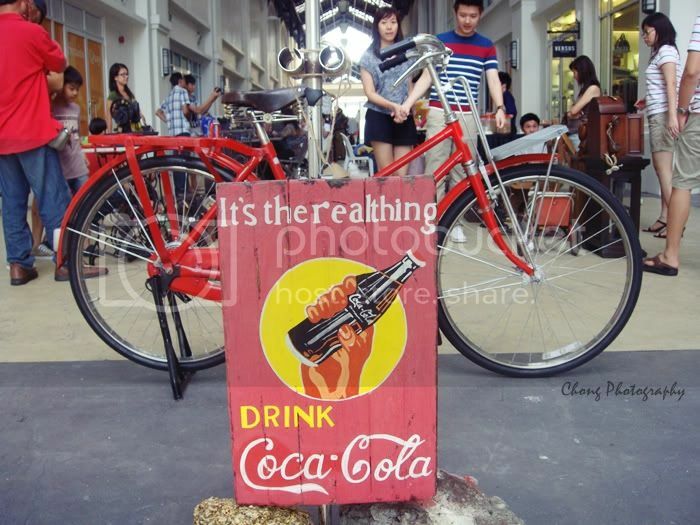 This sign board caught my eyes when I saw it, also the striking red bike. Had I told you before that Straits Quay is transformed into a haven of shopping bliss for arts, crafts, fashion and etc. The very first Saturday and Sunday of the month, they will have the Weekend Market; Flea Market for the last Saturday of every month. It's like a heaven for me seeing all the beautiful things around me, too bad I couldn't bring all of them back to be my dotey. I tried hard to hold my shopping lust, just grabbed myself one useful item. 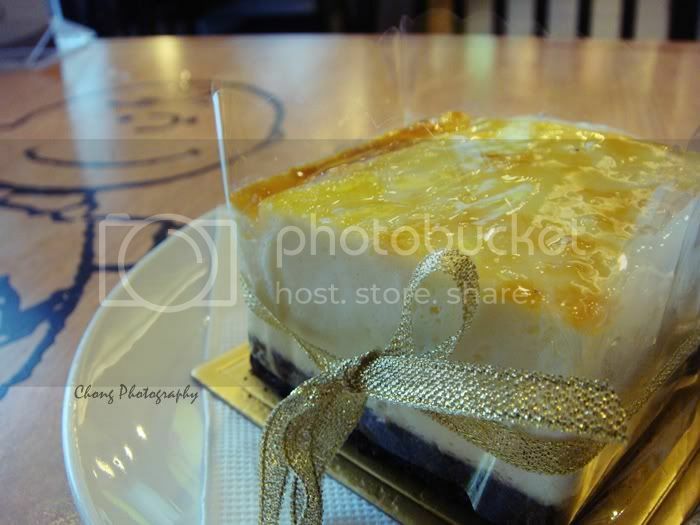 Got ourselves some refreshment after the walk, here comes our German Cheese Cake which cost us RM16; it's only a small little one, but the waitress called us to enjoy it slowly, bite by bite, because it is made up from 3 layers of different cheeses. Peep the Charlie Brown? 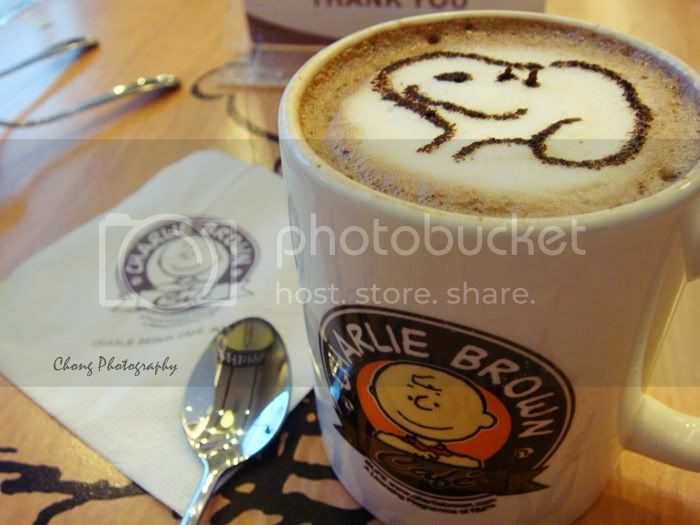 Yes, I were in Charlie Brown Cafe for my high-tea session before the dinner, the dreamland of every kiddo. My Hot Chocolate with the Snoopy on the top. 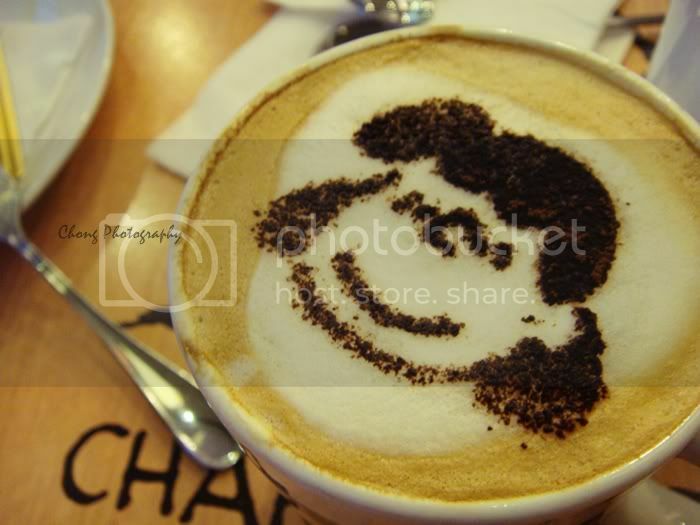 Meet his friend, Lucy; Hot Coffee Latte. 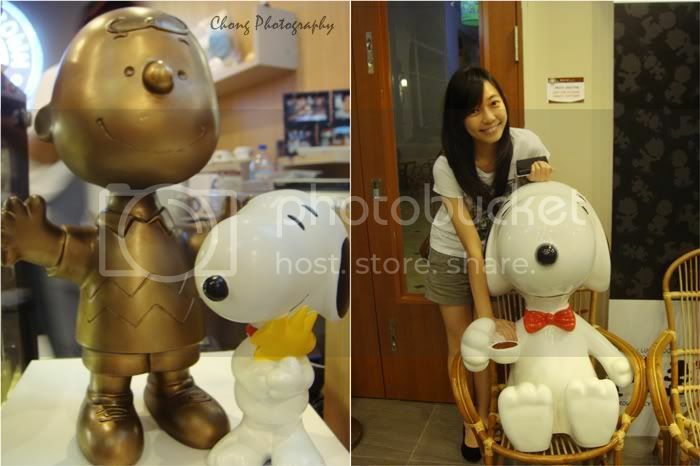 You'll get to see bronzy statue of the Peanuts' characters in the cafe; a very neat boondoggle they have. Me with Snoopy at the right.